With more than 35 years of experience, at Cremach Designs, we have a team of industrious and committed experts who offer the best machinery in the industry along with adequate after sales services to clients and assist them in installation and commissioning of our products. Industrial expertise & a deep experience have backed us up in providing efficient equipment and services to our clients. With a workshop facility of more than 40,000 Sq ft equipped with the state of the art tools and equipment, Cremach Designs is located in the heart of the industrious GIDC in Makarpura, Vadodara. A dedicated and expert team of more than 200 has supported the endeavors and the vision of the company to supply the best quality feed machinery in the industry across the globe. Our expertise is in providing turnkey plants for animal feed plant for cattle, poultry, fish, shrimp, prawn, goat or camel feed. We are one of the leaders in manufacturing and installation of machinery for animal feed with a focus on design and engineering. Established in 1979, Cremach Designs has been a part of the growth of the feed industry in the country. 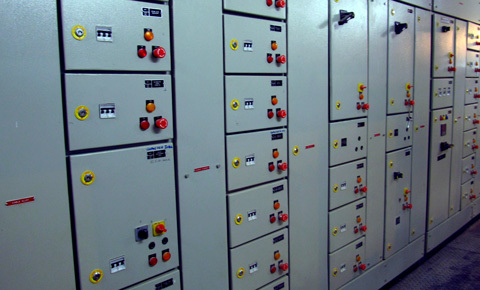 Along with complete installation and erection or turnkey plants, we specialize in automation to the process. More than 35 years in the industry. More than 350 Hammer mills in operation. 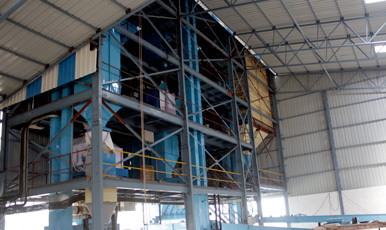 More than 200 Pellet mills in operation. More than 250 Ribbon Blenders in operation. High productivity of the machines installed. Lower electrical consumption per ton of feed produced. Feed Plants of capacities from 100 TPD (Tones per day) to 1500 TPD. Newer concepts in each plant. Efficient Automation to reduce manual labor and process time.